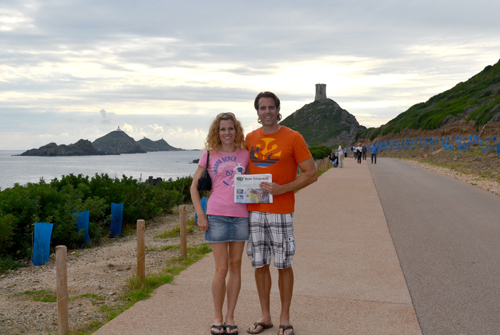 Steve and Theresa O’Riorden visited Ajaccio on the Island of Corsica, which is part of France. The citadel behind them is the Tour de la Parata, and behind that, the Iles Sanguinaires. Recent residents to Stow, Laura Corbin and Jenna Surwilo attended a wedding on the beach at Secret Island on Oahu, Hawaii. 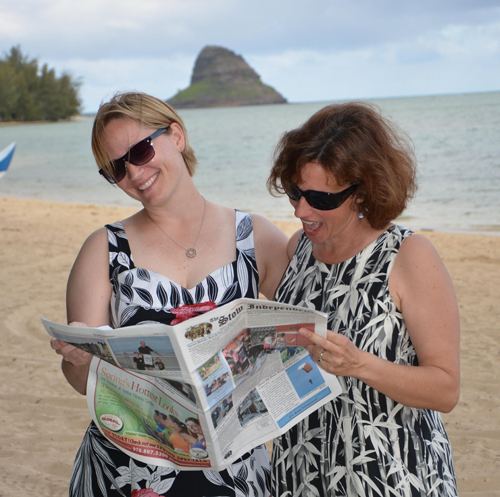 In the background is the basalt island called Mokoli’i, better known as “Chinaman’s Hat”. Barbara Rietscha and Dave Buchholz, owners of Stow Greenhouses, pose with the Independent. 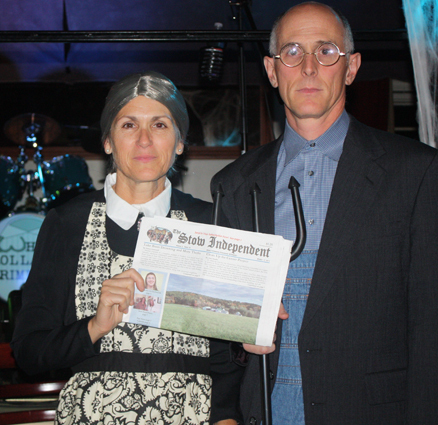 They had just won a trip to Las Vegas as winners of the Best Couples Costume as Stow’s very own “American Gothic” at the Halloween Bash at the Billard’s Cafe in Ayer on Saturday, October 26th. 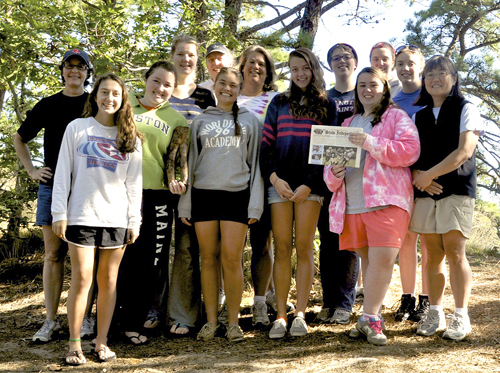 The Girl Scouts of Stow Encampment 2012 had a special distinction: It marked the last Encampment for a large group of girls who are all Seniors in High School. This is the largest group of Seniors in recent memory (and possibly ever!). All of these girls have enjoyed many happy years of Scouting. The girls and their advisors (they are too old for leaders) are, left to right: Christine Don (advisor), Tina Orlando, Avary Don, Madeline Jenkins, Julia Nord (advisor), Kana Ervin, Amanda Bennett (advisor), Charlotte Young, Louise Bennett, Courtney Mills, Kira Rasmussen, Stephanie Dodge, and Nanae Ervin (advisor).